Below you will find the stories of our many students who are attending St. Dymphna Special Needs School. Many of them have had struggling life experiences, which have now led them to St. Dymphna Special Needs Schools. If in doubt of a child’s name at our school just say “Moody” and chances are you’ll be right. Our three Moody’s suffer from Down syndrome, deafness, and autism respectively, and they’re all equally attention seeking! From Moody trying to show off his latest sign language to Moody trying to show off his older cousin (also called Moody) you will be hard pushed to find a more fun and affectionate group of boys. Another sibling pair, the story of these two brothers is a rare happy ending. 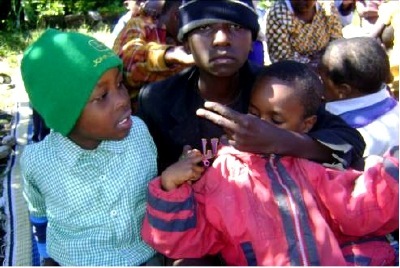 Abandoned by their parents and rejected by their community they set off to find a new home and family, walking for days over the hills surrounding their village until they reached Arusha. 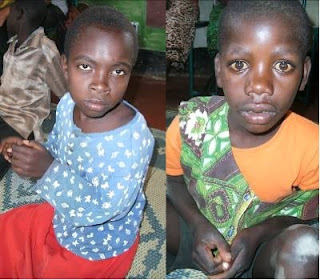 Here they were taken in by a family living near the school and have now been given another chance at their childhood. Jackson (9) and Lucy (3) are a brother and sister team living on the outskirts of town. Unfortunately their story is not a happy one as they are two of the most financially vulnerable children that we support. Although their mother works hard washing clothes she only earns a small amount of money per week, nowhere near enough to support Jackson, Lucy, and their 3 other siblings. In addition their father suffers from alcohol addiction and their one room house is inadequately roofed to keep out the rain or cold. Jackson, whose only major learning disability is dyslexia, takes good care of Lucy who suffers from Down syndrome and has only recently learnt to walk. Since opening our volunteering project however we have been able to employ Jackson’s mother and are now much better placed to ensure the wellbeing of this family. Sammy is one of the sweetest children you’ll ever meet. Living in town with his father, a preacher, Sammy has a rare form of dwarfism, which means that, despite being 16 years old, he has the body of a 6 year old, and the mind of an even younger child. Sammy needs help performing almost all everyday tasks such as walking, eating, and going to the bathroom, however he is one of the happiest students we have! He loves music, counting, and learning new words. John is severely autistic and is currently speechless. In addition, he is an extremely hyperactive child. Attending school has helped him improve his behavior and life skills. He is still working on being toilet trained. John lives with only his mother because his father passed away. He and his mother live in very poor conditions. When he comes to school the teachers clothe and feed him since he rarely gets to eat at home. Sara has Cerebral Palsy and has great difficulties walking. She is working on exercises to help her with her balance and to improve her walking. Reading is very challenging for her and she practices regularly to become better at it. She is working on writing and counting. She also practices sewing and making beaded necklaces to help make money in her future. She loves attending school and is able to eat multiple meals at school, which she did not always get at her home. She loves being at school and takes great pride in the clothes that she makes and sells at school. Joyce has Cerebral Palsy, which has paralyzed her right hand and leg. At school she is working on exercises to learn how to use her right hand. Joyce is learning how to use a sewing machine to make clothes and she also practices bead work. These traits will allow her to make a living when she is older. She is also focusing on reading and writing at school. She loves attending school and her life has improved greatly as she is eating on a daily basis now. 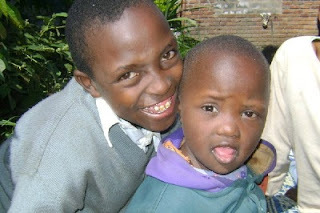 Julius has Down Syndrome and before attending St. Dymphna school he could speak only a few words. Julius lives in a village and comes from a very poor family. Since attending St. Dymphna he is now communicating with teachers and other students. He is also being fed at school, which did not always happen in the past at home because of lack of money. Julius loves going to school and after every meal that he eats at school he will thank all of his teachers by going around and shaking their hands. 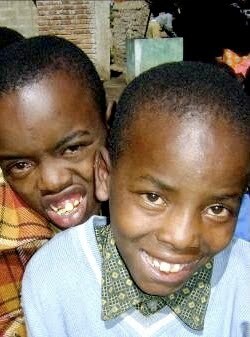 Baraka has mental and developmental disabilities and was born with club feet. He recently had surgery to straighten his feet and help him to begin to walk. 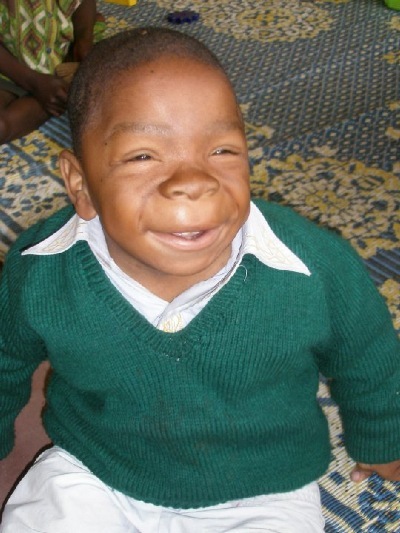 Baraka lives in a small village and comes from a very poor family. Their most prized possessions are their two cattle. 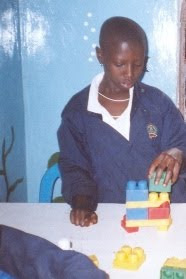 Baraka started at St. Dymphna not being able to speak, but since has improved his verbal communication and can carry on small conversations with teachers and other students.